Here is an MRI image of my brain. Medical test are just one of the many cool parts about interviewing for the astronaut program. It was great learning more about my body and my overall health. 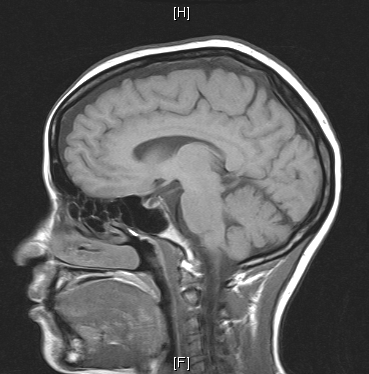 I learned that my brain is “Grossly Normal”…and I’m hoping that’s a good thing! I have never encountered someone as intriguing as you and filled with energy. If you are ever in Barstow, call and lunch is on me. Enjoy! OMG, your BALD!!! oops, that was an MRI scan. You should see mine. I think the hamster fell off the wheel. Log in | 19 queries. 0.193 seconds.